Premium hosting, security, and maintenance for web agencies and businesses. Grow with us! Full Service Web Hosting means our clients don’t have to worry about hosting ever again. We transfer your site(s) onto our state of the art cloud servers absolutely free and manage everything for you from there. You handle your content and clients and we’ll take care of the rest! Isolated Environments, Light Speed Performance, Secure any PHP version. Included SSL, Daily/Weekly/Monthly Backups, Proprietary Plugins, Protection Against DDoS Attacks. We accompany our clients on their journey and help them grow at every step. All of our sites are monitored 24/7/365 and we strive to take proactive measures that allow us to provide top of the line service and support. Our highly-skilled staff have been carefully selected for their years of experience with WordPress development and we are active in the Wordpress community. We’re confident in our architecture so we don’t impose limitations on our clients. We love open source and we love WordPress. WP currently powers over 25% of the websites on the internet and its market share is continually growing. We believe WP is the best CMS for growth, ease of use, and development. All of our sites are monitored 24/7/365 and we strive to take proactive measures that allow us to provide top of the line service and support. We pride ourselves in our uptime! You don't have to take it from us, see what our satisfied clients have to say. 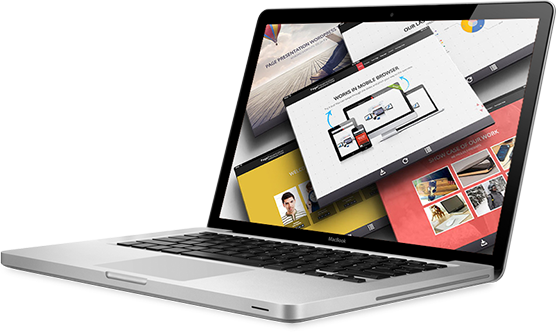 2by2Host has been the most reliable, yet affordable web development company I've worked with. I struggled to find a company to deliver consistent results for the longest time. I spent countless hours researching the internet, but fell short on three different occasions. I currently operate multiple websites that 2by2Host has helped provide development and support. This company will take your business to the next level with their commitment to quality and service. 2by2Host offers a variety of hosting and website packages for Agencies, Businesses, and Individuals. Each package has been engineered to meet your specific needs and we're happy to discuss custom packages for larger Agencies and E-Commerce sites. Please find answers to common questions below or visit our Plans and Pricing page to learn more. If you have a specific question not answered on our site we're always happy to chat further about our client's needs. WordPress is open source software that is best in class for creating websites. The WordPress platform powers more than 25% of the entire web today. WordPress is mobile ready, easy to scale, ready to customize, secure, and SEO friendly. It’s simply the best platform available. Who owns my website and information? YOU! One of 2by2’s main reasons for using WordPress for our websites is that our clients retain their ownership over their website and information. Our competitors own your information and website so if you decide to leave, you have to start from scratch. We believe in open source technology and look to provide top notch quality and service to prevent you from leaving, not locking you into an ecosystem. Will 2by2 handle my email? 2by2 does not host or facilitate our clients’ emails. We believe that there are better options available than we can provide and we guide our clients towards those solutions.